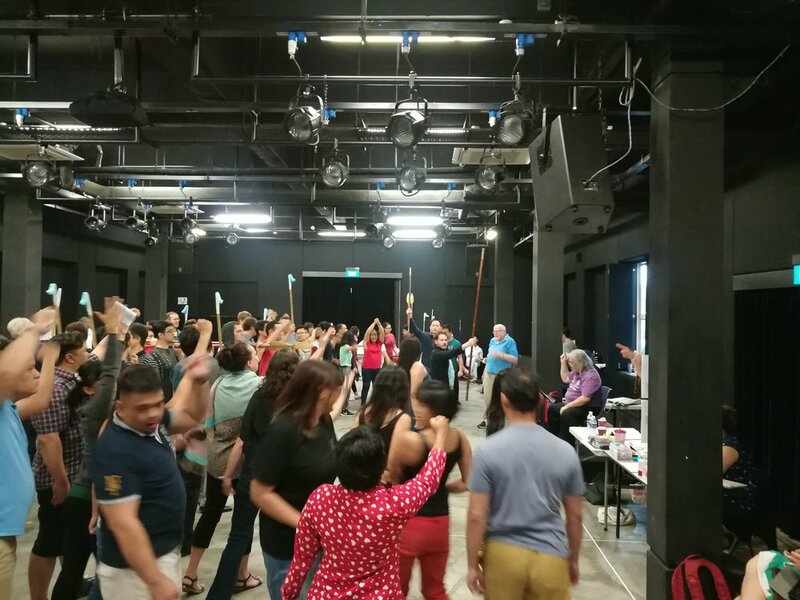 Five performances of Singapore Lyric Opera’s “Aïda”, perhaps the most lavish production in the flagship company’s 27-year history, will be conducted by Thailand’s maestro Somtow Sucharitkul from June 1-6. Considering that Somtow is an operatic pioneer in the region, whose operas have been seen in the United States and Europe, one might ask why it’s taken so long for him to helm the opera in Singapore, but this epic production has more of Thailand’s influence than its maestro. Performing the role of “Radames” is Spanish tenor Israel Lozano, whose Southeast Asian debut was in “Madama Butterfly” with Opera Siam nine years ago. Since then, he has become a fixture in Singapore and Malaysia as well as Thailand. The venegful Egyptian Princess, Amneris, is played by Mexican mezzo Grace Echauri — whose Southeast Asian debut was fourteen years ago with Opera Siam — as Amneris. Nancy Yuen, artistic director of Singapore Lyric Opera and the region’s reigning diva, plays Aida, and she has done over a dozen roles with Opera Siam, including the title role in Mae Naak, Butterfly, Mimi in Bohème, Thaïs, Donna Anna, Pamina, and the Empress in Somtow’s Dan no Ura, as well as directing one of Opera Siam’s productions. When Somtow produced “Aida” in Bangkok in 2005, the production was a revelation. Richard Harrell, the guest stage director from San Francisco Opera, said “It is still one of the productions I am most proud of.” Instead of being set in Egypt, the production was given the look and feel of ancient Siam at war with Burma, the milieu of Suriyothai and Naresuan, giving an interesting series of local metaphors for its audience. Somtow’s take on the music digs deep under the crust of “epic splendor” to try to pull out Verdi’s “intimate drama.” He’s been working with Singapore Lyric Opera’s orchestra to bring out the music’s exotic, subtle colors. He’s removed dozens of “traditional” exaggerations that singers have overlaid onto Verdi’s score, and eschewed the monumentally slow tempi of some interpreters for a much more exciting pace. “I hope that local audiences will be sucked into the story in all the richness and complexity that Andrew Sinclair has found in the text,” he says. Will the production eventually come to Bangkok? “I’m trying to talk them into it,” the Thai maestro says cryptically. 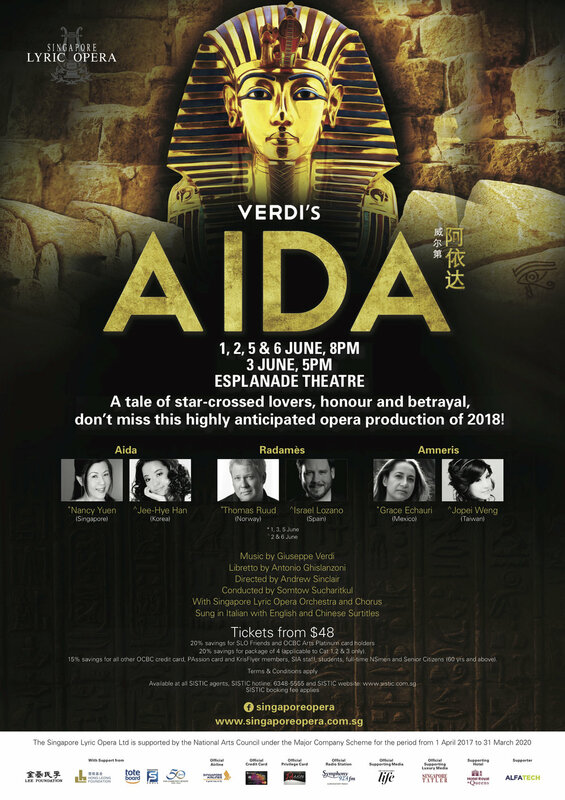 Singapore Lyric Opera’s AIDA plays June 1,2,3,5 and 6 at the Esplanade in Singapore. Opera fans from Thailand, Malaysia, and even Norway are flying in for the show. For tickets, go to sistic.com.sg. 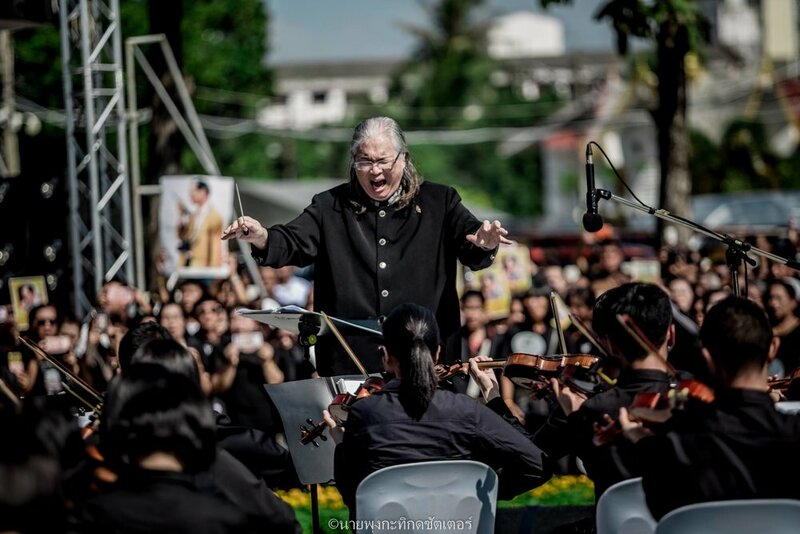 Thai composer, conductor and novelist Somtow Sucharitkul has won the 2017 European Award for Cultural Achievement. The Award is from the Kultur-Forum Europa, founded in 1992 on the initiative of Hans-Dietrich Genscher, the German statesman who shepherded Germany’s foreign ministry through the years of reunification, promotes European thought in all areas of culture. The KFE cited Somtow for his services to the spirit of international diversity, as a cultural ambassador between East and West, overcoming national borders and cultural-historical barriers, and establishing meaningful cultural connections between Thailand and Europe. The President of the KFE will travel to Thailand and present the award to Somtow in person on December 18th, the UN International Migrants Day, at a concert in the Thailand Cultural Center in which Somtow will conduct Beethoven’s Ninth Symphony. “Well deserved!” tweeted Germany’s Ambassador, Dr. Peter Prügel. Thailand’s Tourism Minister, Kobkarn Wattanavrangul, called Somtow “the pride of Thailand” in a LINE message. “I’m thrilled and humbled by this award,” said Somtow, noting that the only composer ever to win the award in the past is Hans Werner Henze, one of Germany’s most celebrated twentieth century musicians. Other laureates have included actor Georges du Fresne, American writer Dough Wright, Dmitris Tsatsos, Mayor of Athens, and Elzbietta Penderecka, creator of the Krakow Beethoven Festival. Winners have included theater directors, politicians, and choreographers. The first person to win theaward was Annemarie Renger, the first woman to serve as president of a German Parliament and the first woman to be nominated for President by a major party in Germany. Since 2005, the KFE also awards a European Tolerance Prize, which in 2009 went to German physician Dr. Dirk Weeber-Arayatumsopon, for his work in Thailand with disabled children and in preventing HIV. He credits the widespread attention in the international media for his DasJati project, a series of ten linked music dramas based on the iconic last ten lives of the Buddha, which when completed will constitute the “largest classical work of all time” in the words of London’s Opera Now. Part of the work toured in Europe last year, and was an eye-opener for European audiences, positioning Thailand in the cultural limelight. 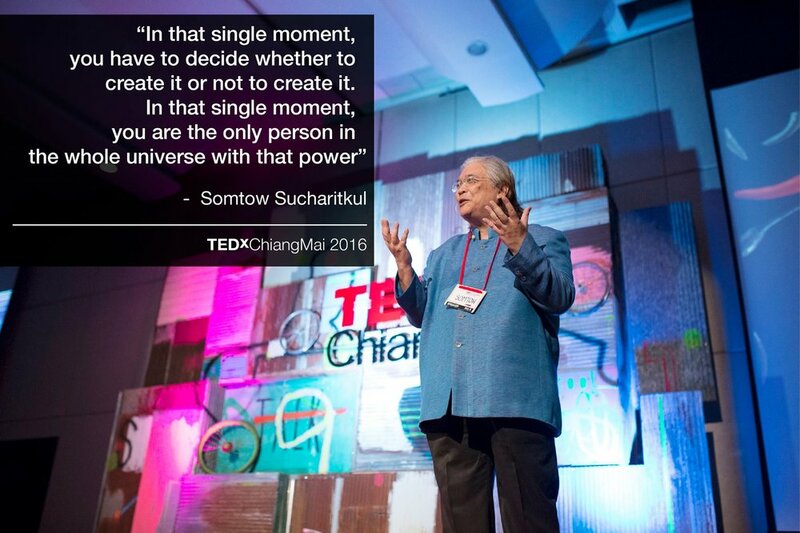 Somtow is the first Thai and the first East Asian to receive the European Award for Cultural Achievement.